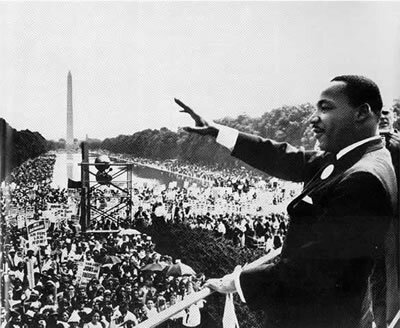 Fifty years ago, on August 28, 1963, Martin Luther King, Jr. delivered his “I Have a Dream” speech to a crowd of some 250,000 black and white Americans, many clergy, and other supporters of civil rights. Every school child has heard of this epic speech, but usually swept away by the soaring oratory and pathos of the speech rather than understanding its principles. King’s speech is profoundly important in its understanding of American founding principles of liberty, natural rights, and self-government. From the steps of the Lincoln Memorial, King immediately struck a very Lincolnian note when he stated, “Five score years ago, a great American, in whose symbolic shadow we stand today, signed the Emancipation Proclamation.” The Emancipation Proclamation freed the slaves one hundred years before on January 1, 1863. Five score years ago. The phrasing of course evokes the other great document of 1863, Lincoln’s “Gettysburg Address,” which begins, “Four score and seven years ago our fathers brought forth on this continent, a new nation, conceived in Liberty, and dedicated to the proposition that all men are created equal.” So, King appeals to both of those great documents of liberty, which Lincoln applied to all human beings. Next, King offers high praise for the founding fathers. He says that the “architects of our republic” wrote the “magnificent words of the Constitution and the Declaration of Independence.” This is highly significant in light of the current popular belief disseminated in schools and colleges that Thomas Jefferson and the other founders were rich, white, Protestant, property-owning, misogynistic, males who did not include blacks, women, the poor, and other groups in their idea that “all men are created equal.” But, in King’s view, Jefferson expressed a belief in universal rights embedded in the very nature of human beings by God. He does not call Jefferson a racist and a hypocrite for then King would simply tell the demonstrators that America is based upon lie and urge them to go home. King takes America to task for the ensuing one hundred years of racism since 1863 as ample proof that black Americans were not actually enjoying their God-given rights. Indeed, he subtly changes the wording of the equality principle in the Declaration of Independence and the Gettysburg Address. For Thomas Jefferson, the idea that all men are born equal was a “self-evident truth” and a principle that was axiomatic and did not need proof. In the Gettysburg Address, Lincoln, even though he agreed with Jefferson that it was a true principle, altered equality to a “proposition,” a proposal that needed to be proven because it was being challenged by the Confederates who denied that blacks were meant to be included in the Declaration. The master orator builds up to a crescendo, finishing his speech with an appeal to universal freedom of all humans by saying, “And when this happens, when we allow freedom to ring, when we let it ring from every village and every hamlet, from every state and every city, we will be able to speed up that day when all of God’s children, black men and white men, Jews and Gentiles, Protestants and Catholics, will be able to join hands and sing in the words of the old spiritual: “Free at last! Free at last! Thank God Almighty, we are free at last.” In other words, black Americans had finally won the right to enjoy their inalienable, God-given rights as a universal principle declared nine score and seven years before. King’s “I Have a Dream” speech is richly steeped in the tradition of natural rights principles of the American republic. 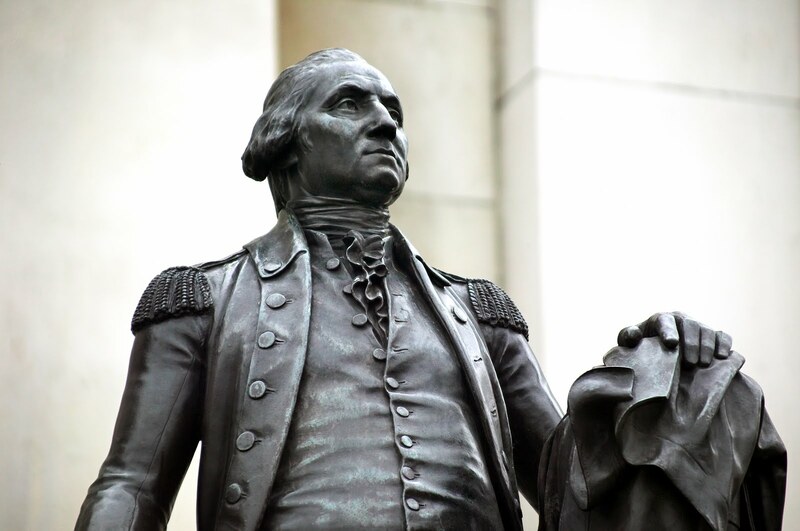 He reached deep into the founding of America and its greatest documents of liberty to craft his own historic appeal to the rights of mankind. That is why we recognize Martin Luther King’s “I Have a Dream” speech as one of the greatest American speeches on its fiftieth anniversary.